Avast, me icebound hearties, we’re bound for some subzero fun below the ice. Hop into a hole cut into the frozen pond and explore the shipwrecks at the bottom of Lake Charlevoix. But exercise caution: Ice diving is for experienced scuba divers only. 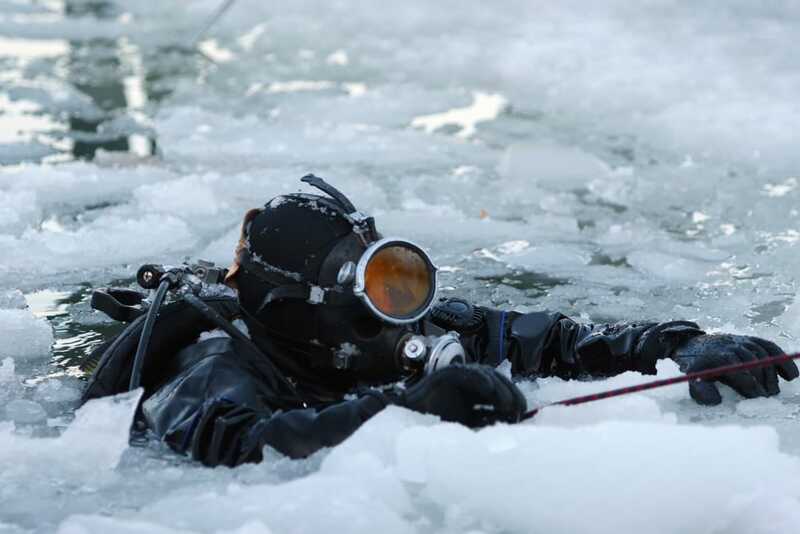 You need training and the right gear for the extremely cold conditions. Don’t feel like you’re wussing out though, because even the fish wear thermal underwear down here. Once properly trained and outfitted, you’ll set your sights on crystal-clear views of the Keuka, a wooden freighter from the 1800s, and old steam vessels sent to the bottom by Michigan storms. If Paul Bunyan was alive today, he would relish the challenge of climbing a mountain made of ice, and would stroke his beard as a sign of victory once he reached the summit. You too can spearhead the sport in Munising, a city on the southern shore of Lake Superior. Cascades of water magically freeze overnight, and active waterfalls become glistening towers of crystalline ice. By December, these towers are climbable—if you’re crazy enough to make the journey. 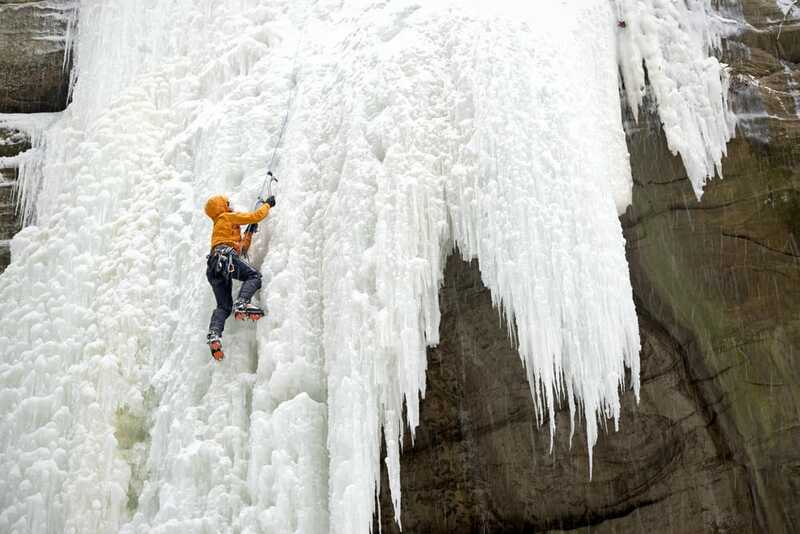 Check out Miners Falls and Sand Point for a grand adventure where you can scale 40-foot ice columns. 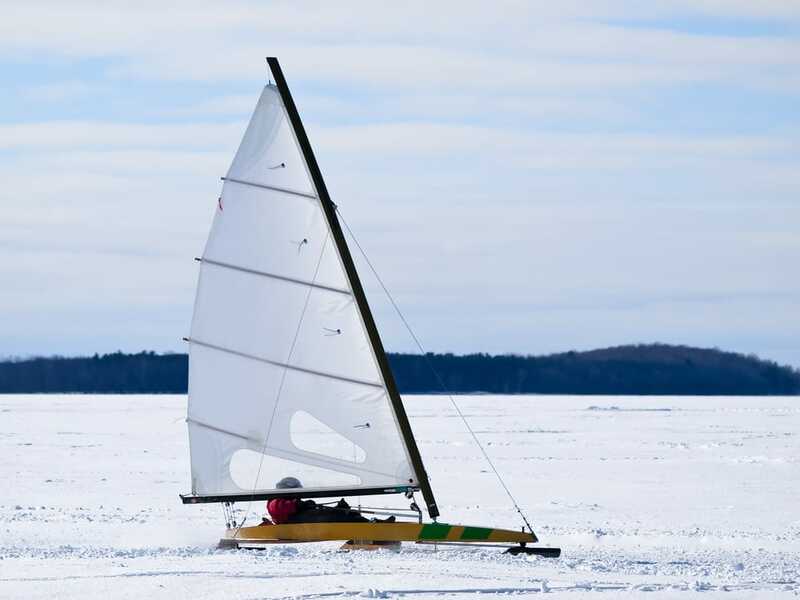 Stop what you’re doing: Ice sailing season has arrived. This polar pastime makes regular sailing look dull as dishwater, and it’s probably because pivoting skates are employed instead of a solid bulkhead. The ice yachts can reach speeds of up to 60 mph, which is way faster than your 1982 Honda Civic. However, you won’t be bobbing over waves, but using blades to skim across the slippery ice. Tell your mom you love her before trekking off with your snow-proof sailboat. 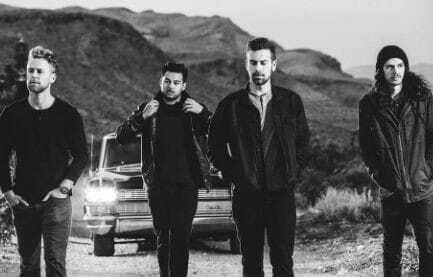 Twenty-seven! The number of days in a Michigan summer? Nope! That number represents the average wind speed across Michigan’s many lakes. Not only are the winds fast, but they’re cold enough to ruffle a flannel shirt and make a native Michiganer cry for their mommy. 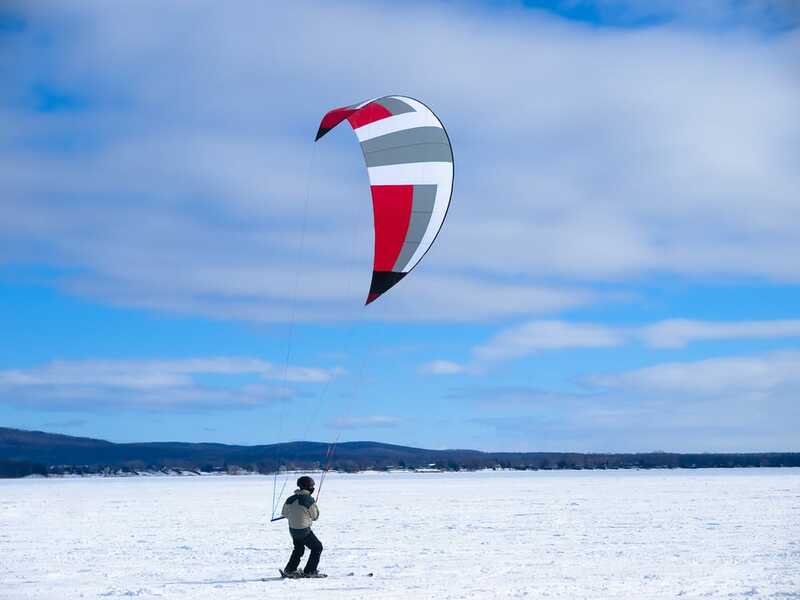 Instead of employing an expensive craft outfitted with complex mechanical assemblies like in ice sailing, all you need is a modified 6-to-12 meter kite, a gust of wind, and blind confidence to go kite skiing (or kite snowboarding). Next thing you know, you’ll be flying across the ice like a fast, cold wind. When the shanties come out onto the Great Lake ice, you know the conditions are right for winter sports. Those fishermen know their ice, and smell somethin’ fierce. The fishermen are followed by visitors, and nearby locals trail behind them, muttering the occasional tsk-tsk at a red-eared tourist who has forgotten to wear a woolen hat. Find your way to Michigan this winter, and don’t forget to bring some rum-spiked cocoa for those cold nights. Avoid pack mentality and learn what to do when you want to be the lone wolf in a tour group.